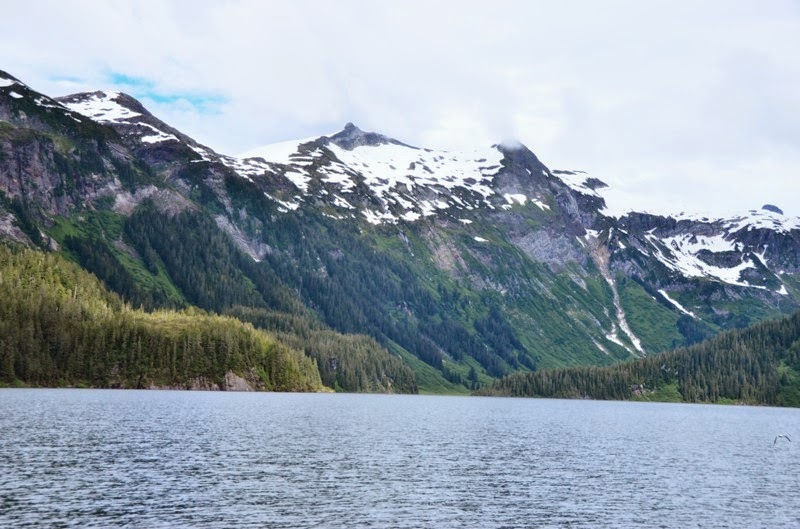 Jordan said his favorite hike in SE Alaska begins at Cascade Creek, which is just a few miles from our anchorage. So this morning we hopped in the dinghy, cruised over to the trailhead, and set off. Cascade Creek hike leads about 4 miles and 1800 feet to Swan Lake. 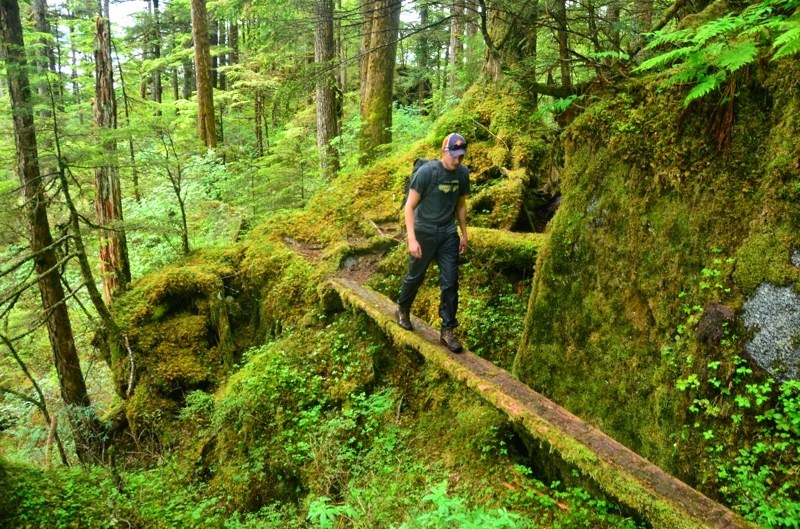 The trail is primitive, with narrow log bridges basic boardwalks. Midway up is Falls Lake, which must be rowed across to continue the hike. 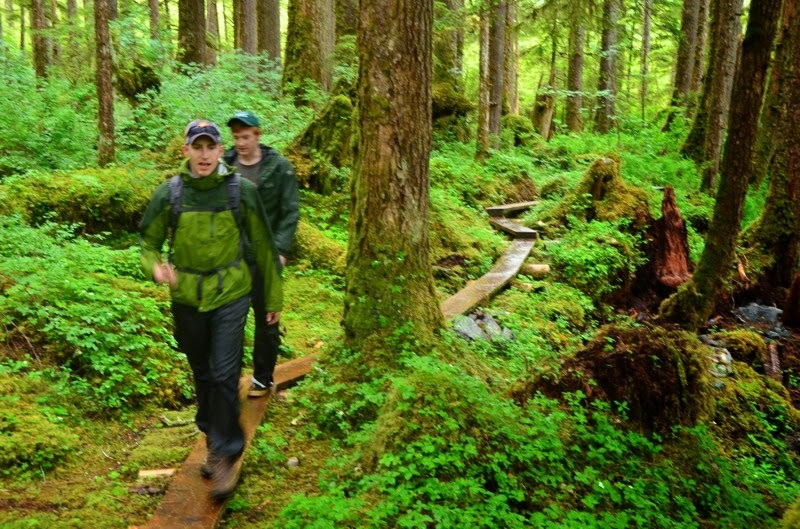 Brendan and Jordan on the boardwalk trail. 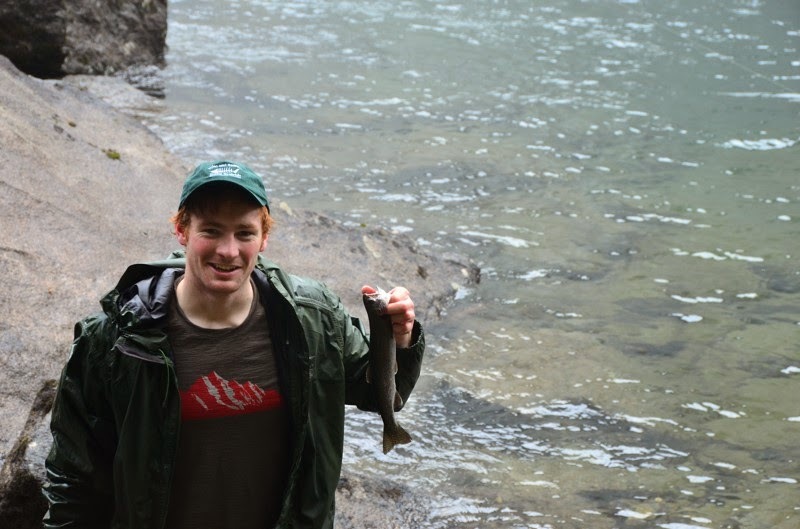 Brendan and Jordan tried their hand at trout fishing in Falls Lake and Swan Lake quite successfully. 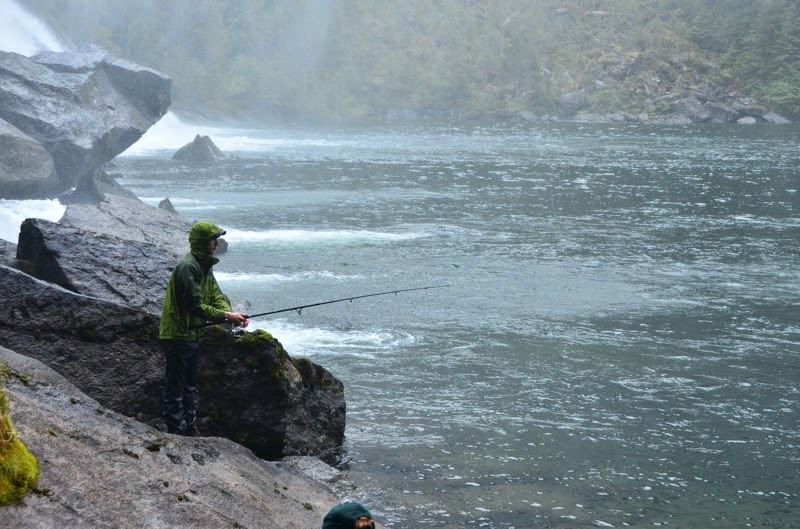 Each of them got a couple of rainbow trout for dinner. 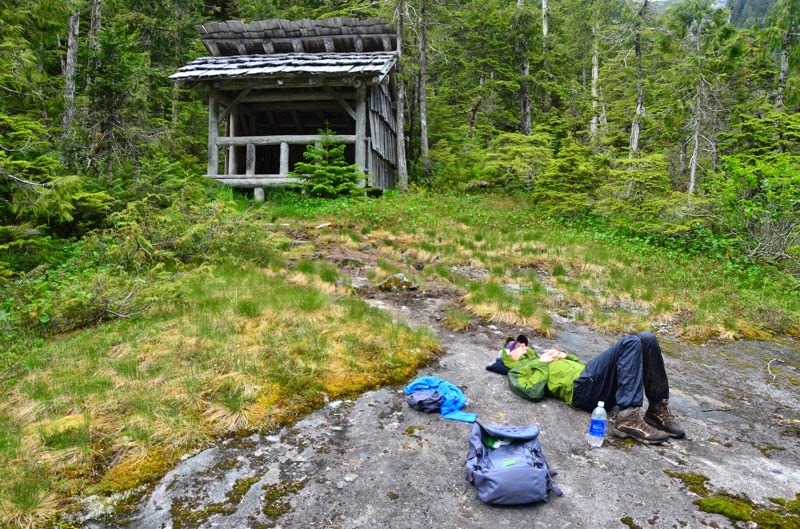 The U.S. Forest Service has public use cabins all over SE Alaska. This is a shelter they built along the trail. The views from the lakes are outstanding. It seemed like we were much higher in the mountains 1800 feet.